Effective Japanese Technique for Corneal Transplantation and Heart Muscle Disease TreatmentOrgan transplantation is an option for treating serious illnesses such as heart or kidney disease. It is not widely available, however, due to the shortage of donors and organ rejection issues. 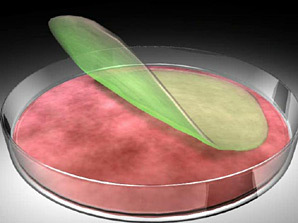 To overcome these factors, recent research has been looking into regenerative medicine, a treatment technique in which a patient's cells or tissue are extracted and cultivated for use. Regenerative medicine had been applied in the treatment of burns and other skin conditions thus far, but the recent development of technology for creating cell sheets is helping to pave the way toward full-blown practical applications. 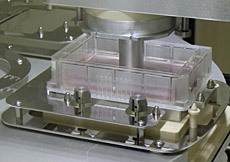 Cell sheets are a thin film about 5 to 10 microns thick, made by cultivating a small amount of cells harvested from mucous membrane or muscle tissue. For example, instead of using donated cornea for corneal transplants, a cell sheet created by harvesting a mere two square millimeters of mucous membrane lining a patient's mouth is transferred to the cornea. So far about 30 people have been successfully cured through this method, in cases where transplantation of donated cornea had previously been the only option. Dilated cardiomyopathy is a condition in which heart muscle cells gradually decrease and weaken heart function. Six of ten patients with this condition who had cell sheets created from leg muscle cells attached to the surface of their hearts recuperated to the point where a heart transplant was not needed. Other treatment with the technology includes preventing the narrowing of the esophagus, a common occurrence following surgery to remove cancer of the esophagus, by attaching a cell sheet derived from the mucous membrane of the mouth to the surgical wound. Another application is the regeneration of a dental root through the transplant of a cell sheet made from dental root cells of wisdom teeth. 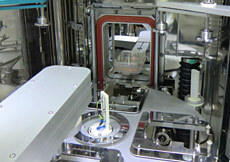 Although the technology to grow a thin film of proliferated cells on a culture media has existed for a long time, attempts to transfer the film to patients' bodies have not been successful. Proteolytic enzymes had to be used to detach the films from the culture dish, which unfortunately resulted in film structure damage and loss of intercellular junction proteins covering one side of the film. The issue was solved by Professor Okano Teruo, Ph.D., Director of the Institute of Advanced Biomedical Engineering and Science at the Tokyo Women's Medical University. 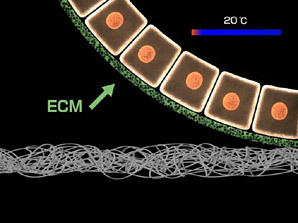 Professor Okano, who had been conducting research on the use of polymers in living organisms and their application to medical care, discovered that thin sheets of cells could be cleanly detached from a culture dish by thinly coating the dish’s surface with temperature-responsive polymer, and cooling the incubator temperature from 37 degrees to around 20 degrees Celsius for cell sheet harvesting. Since proteolytic enzymes are not used for detachment, the temperature-responsive polymer is maintained and adhesive proteins key to bonding with living tissue are left intact on one surface of the cell sheet. This enables a cell sheet to graft readily to biological tissue in areas such as the cornea or heart by simply placing it on the surface. The grafted cell sheet then regenerates into transparent corneal cells or heart muscle cells. "It is difficult to grow adult heart muscle cells, nerve cells, as well as pancreas cells essential in the treatment of diabetes," says Okano. "In the future, I hope to expand the possibilities of regenerative medicine through improvement of cell sheet creation technology and the use of iPS cells, which can differentiate into any kind of cell."